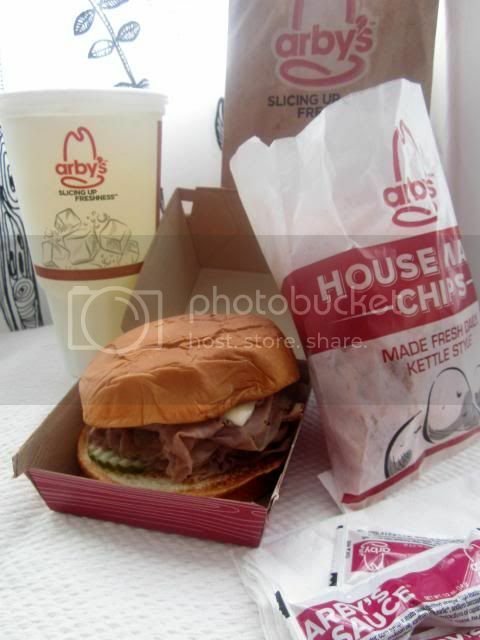 Mama Nibbles: Arby's Roast-beef-atopia and Hawaiian Dream Vacation for Two! Arby's Roast-beef-atopia and Hawaiian Dream Vacation for Two! This is a Sponsored post written by me on behalf of Arby's. All opinions are 100% mine. Do you love Arby's? Arby's has been a favorite of my family for oh so very long. Once in a while we will splurge and have Arby's for supper or a picnic lunch at the park. I love how flavorful their roast beef is and everything is served hot and fresh to order. My husband coulld literally just eat Arby's Sauce plain! He likes that stuff more than the average person I'd say. 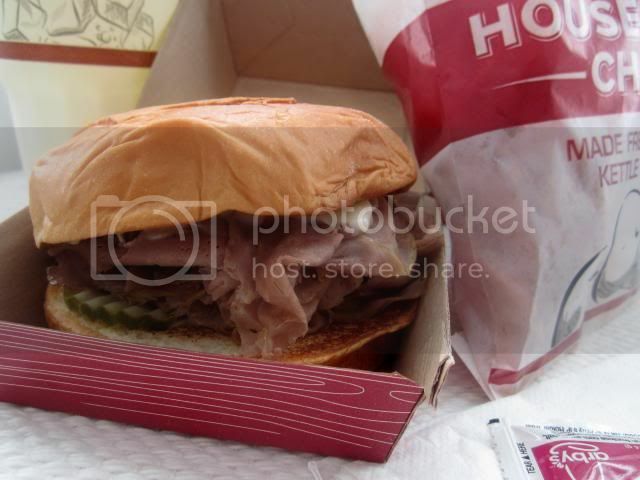 Recently I decided to check out the new Arby’s KING’S HAWAIIAN roast beef sandwich for myself. I looked the new sandwiches up on the Arby's website before going because I wanted to see what came on them before I headed out. There are two new sandwiches. The first comes with an amazing heap of roast beef topped with a slice of swiss cheese. Under the huge pile of shaved roast beef is a nice spread of dijon mustard and then under that are chips of dill pickle. The second is just the KING's HAWAIIAN bun with a large serving of roast beef. Both sound equally delicious. At first I was apprehensive of the whole pickle situation. I am not one that necessarily enjoys pickles on a sandwich or so I thought. After one big bite into the soft KING'S HAWAIIAN bun, layers of beef, dijon and pickles I decided that pickles on a sandwich were not too bad. In fact I absolutely loved the crunch and acidic flavor of those pickles! I was beginning to think that I had been really missing out all of my life for taking pickles off of everything. Of course if someone were to really dislike pickles, dijon and swiss cheese Arby's does offer this same sandwich with just the KING's HAWAIIAN bun and heaps of delicious shaved roast beef. The bun is simply amazing and it really makes these sandwiches extra special. These are only available for a limited time so hurry in to your local Arby's and take yourself to roast beef paradise before they are gone! I thought the new Arby's sandwiches were pretty exciting but NO there is something even more exciting from Arby's. I just found out that I can enter to win a Hawaiian vacation in the Arby’s Hawaiian Getaway Sweepstakes! What are the prizes? The grand prize winner will receive a round trip for two with four nights stay in Honolulu, HI. Plus a premium group lesson at one of the island’s premier surf schools, Hawaiian Fire.